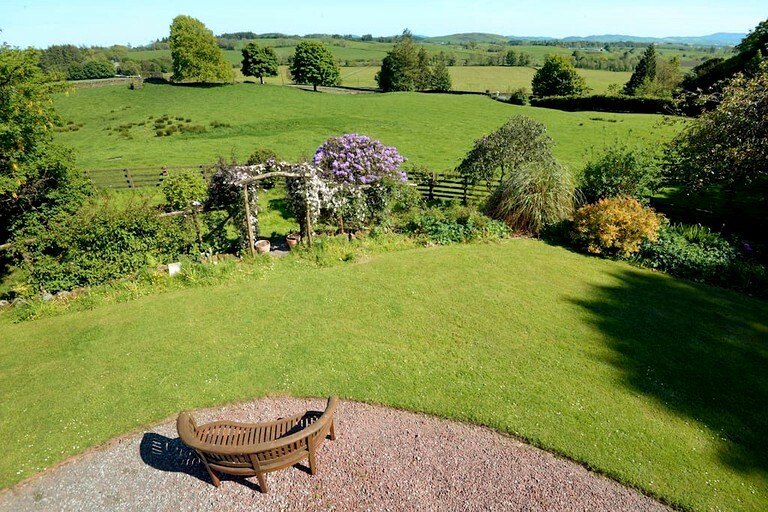 This charming, pet-friendly suite rental is located in Kirkpatrick Durham near Dumfries and can accommodate two guests. There are two cozy twin beds which include electric blankets for added comfort. 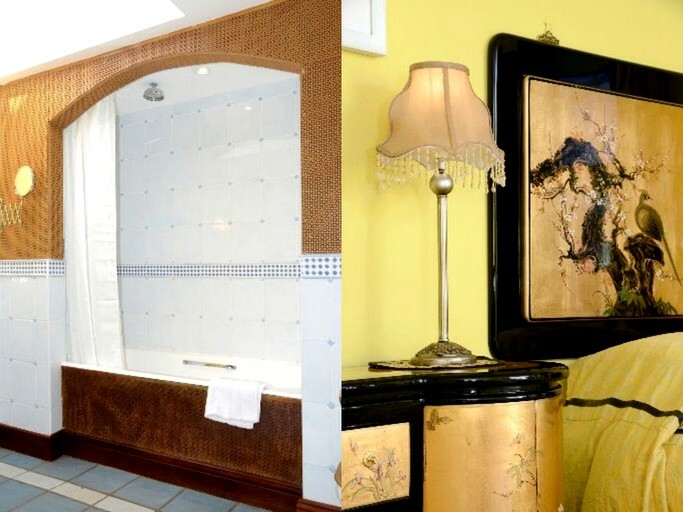 In the ensuite bathroom, guests will find a toilet, a sink, and a shower and bathtub combination. Freshly-laundered linens and towels are provided by the host. The Victorian Room can be a family room sleeping up to two extra children. As a family room, it is 114 pounds per night. Guests should inquire with the hosts if interested. 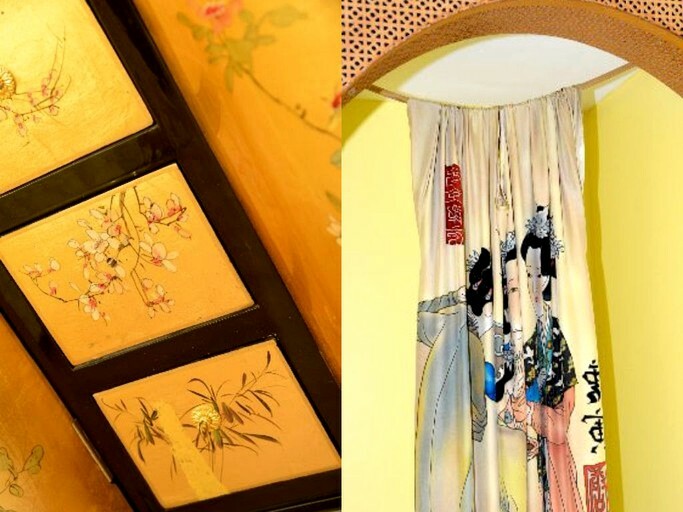 The decor in the accommodation is stylish and unique and is based on classic Chinese art and culture. 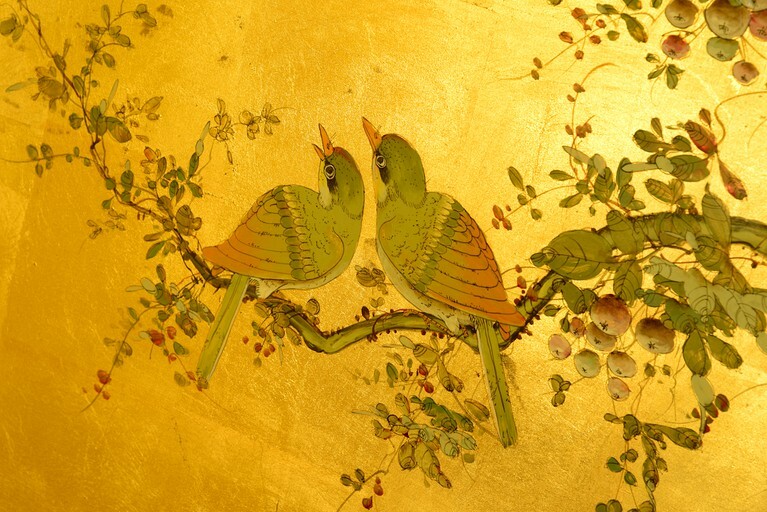 There are soothing colors, lovely hardwood floors, and stunning pieces of traditional artwork throughout. The room features its own flat-screen television for evening entertainment, along with a radio. There is a handy closet, for storing clothing and other personal items. Those traveling by car will find plenty of free parking available on the premises. Outside, there are extensive landscaped grounds to explore, along with a shared patio equipped with outdoor furniture. Inside, the property is heated throughout. The communal lounge features an inviting wood-burning fire, and there is also a billiards room, with a bar. 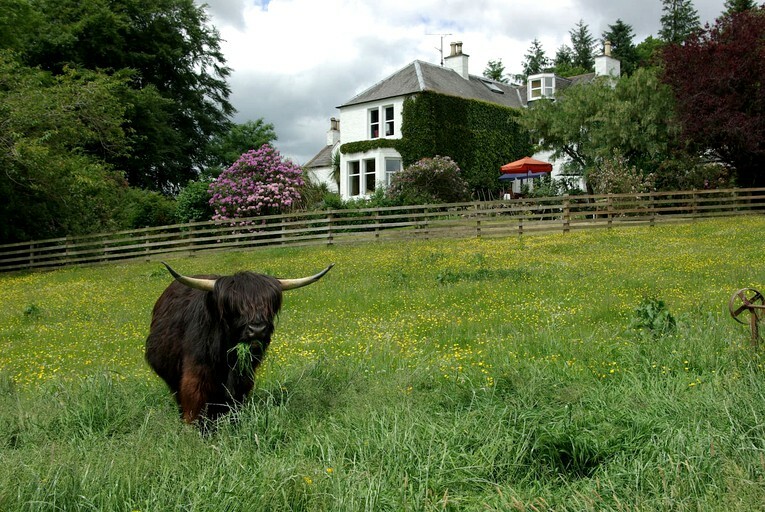 The Scottish restaurant offers mouthwatering dishes, with many of the ingredients sourced directly from the estate. Breakfast is served buffet-style and comes with cereals, yogurt, fresh juices, excellent coffee, and a selection of cooked items. Free Wi-Fi access is available in all accommodations and public areas. This property allows weddings and special events. Guests should inquire with the host for more details and pricing. Breakfast is included in the rate for the rooms. The cottage accommodation is self-catering, but meals can be purchased. Many guests choose to visit this region for the excellent array of outdoor activities on offer. Cycling and mountain biking are popular pastimes here, and there are plenty of places from which to hire equipment. The property is close to five of the famous 7stanes venues, which are some of the world's best mountain bike trails, with a ride to suit every level. Walking and hiking paths are also in abundance here, and glampers can choose between leisurely strolls along sandy beaches, invigorating cliff top walks, or rugged hikes through the forest, and up hills and mountains. The scenery is spectacular in this part of the world. Keen anglers will be able to fish for trout and salmon in the local lochs, and golf enthusiasts can tee off at one of the numerous courses close to the property. Those looking for adventure might enjoy a thrilling ride on one of Europe's longest zip-lines, which can be found at the Laggan Outdoor Centre. This venue also offers Segway experiences, clay shooting, and archery. The Galloway Activity Centre provides kayaking, sailing, windsurfing, and a climbing wall. There are also excursion companies in the area that offer jet skiing and water skiing. As well as a great selection of shops and restaurants, the area has many museums, art galleries, and historic places for guests to discover. 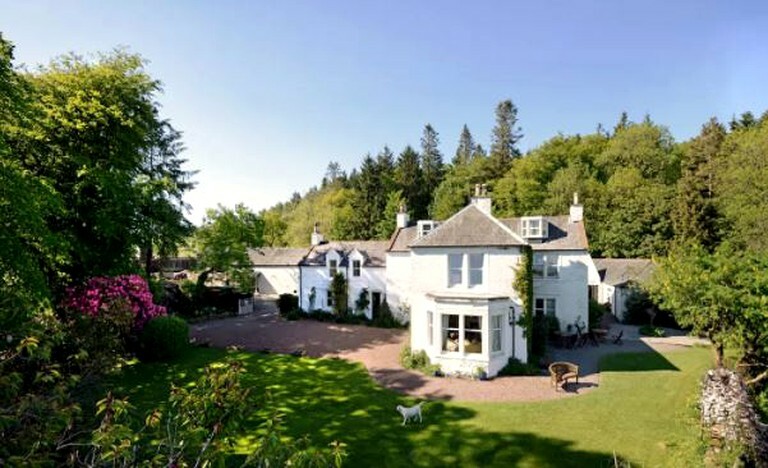 There are several castles and stately homes within easy reach of the property. Some are superbly preserved, and some are ruins, but all of these sites provide fascinating glimpses of the area's rich and colorful past. Well behaved dogs are welcome and charges apply. Dogs are not permitted on the furniture, in the dining areas, or to be left unattended in the accommodation bedrooms at any time. The hosts reserve the right to charge a sum in the event of damage being caused, or if additional cleaning is required (this applies to the whole property). The Victorian Room can be a family room sleeping up to two extra children. 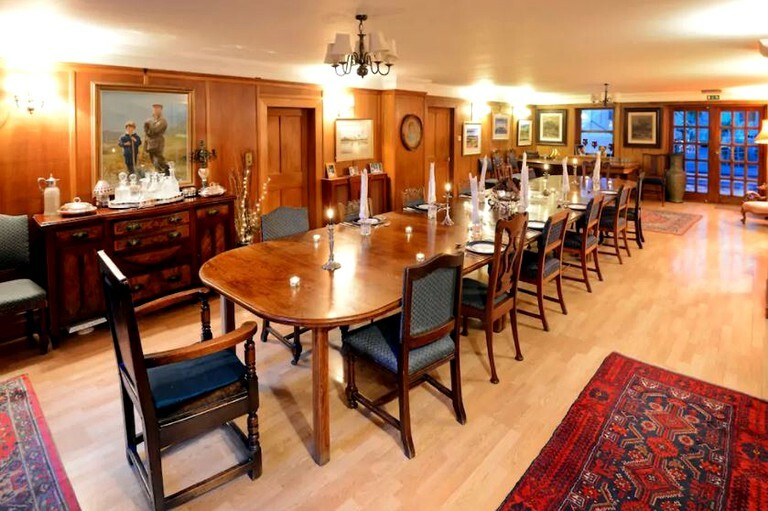 As a family room, it is £114 per night. Please inquire if interested. 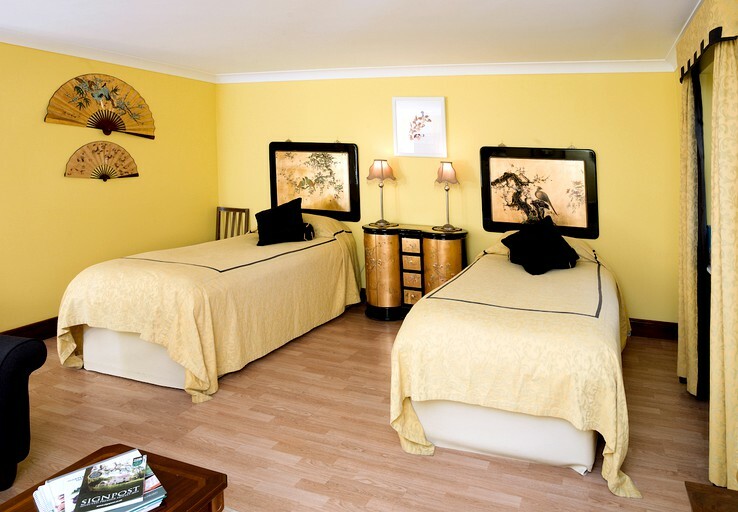 The double and twin rooms are on an organic sheep farm. Guests will find a drawing room, a billiard room with an honesty bar, courtyard with tables and chairs, and a large garden and orchard for guests to sit in. Dinner is available by arrangement.